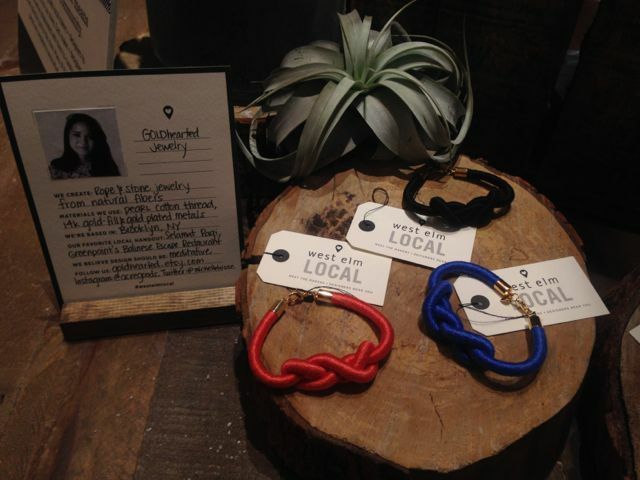 Speciality realtor West Elm is keen on going local. 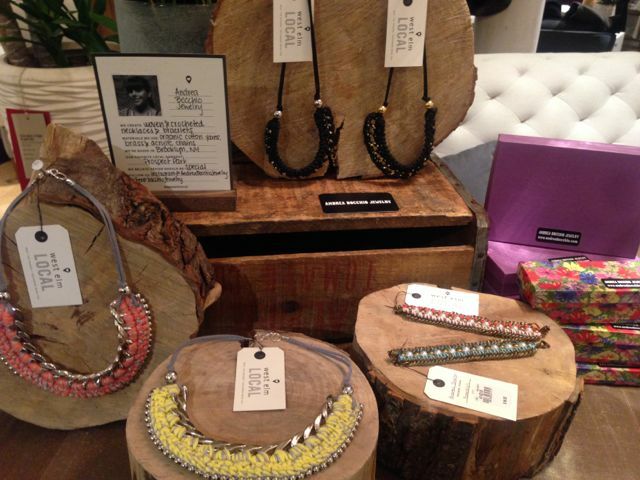 In recent months, they've partnered with designers and makers to create regionally inspired collections. Jewelry, notebooks, games, cards and totes are just some of the artisan wares they've put in-store. A seamless fit with their own merchandise, it gives designers a chance to gain exposure and work closely with the retailer. Each in-store collaboration tells a story. 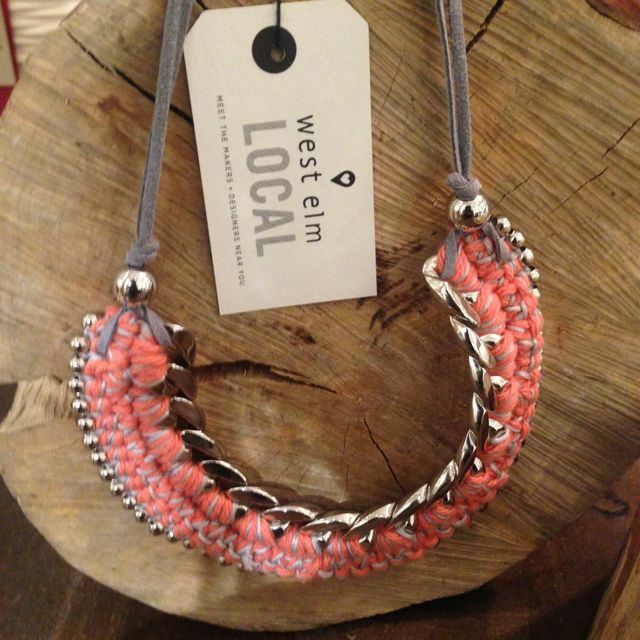 Special West Elm Local hangtags distinguish products from their regular merchandise and there's also signage which features a headshot and highlights details like what they make, materials used and their favorite local spot. 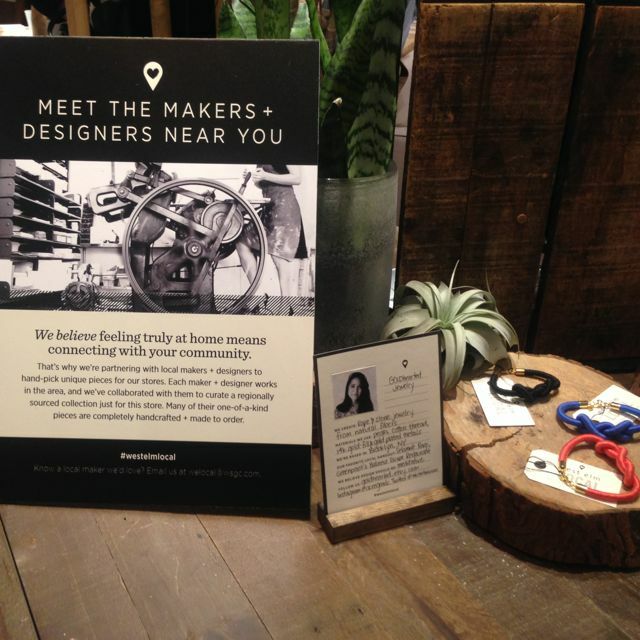 To support the launch, they host Meet the Maker parties where designers can invite their network for a night of shopping and local food with associates on hand to help guests. 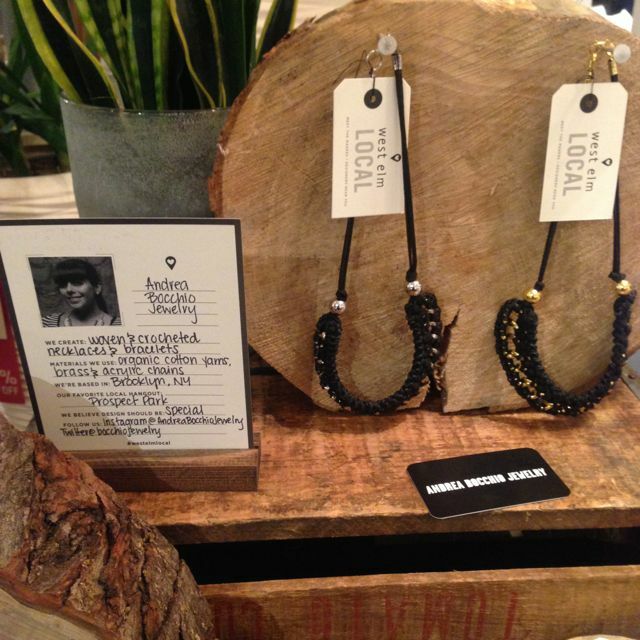 At a recent event at their Chelsea store, jewelry labels Andrea Bocchio and Gold Hearted Jewelry were a few of the featured makers along with Public Supply notebooks. 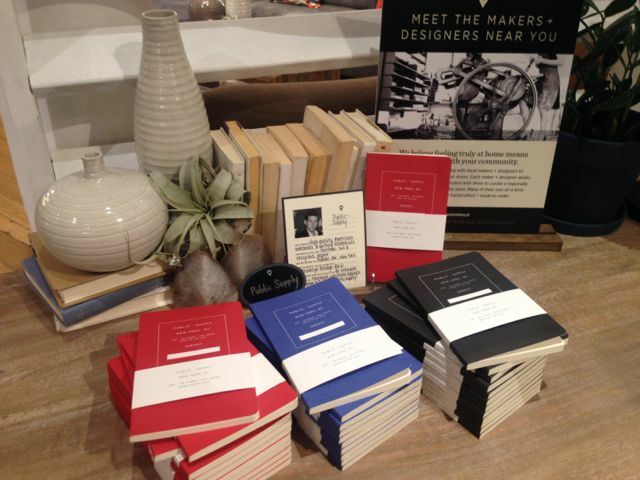 Learn more about their collaborations at West Elm and apply to be a local maker at welocal@wsgc.com.